Students looking for career opportunities and pathways in science now have a wider selection of courses to choose from at Selkirk College. 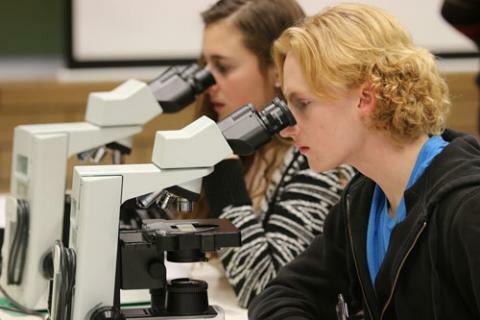 The return of second year sciences at Selkirk College helps open doors to students interested in a variety of educational pathways. Students looking for careers in medicine, pharmacy, laboratory research, dentistry, education and more can now get a two year start in Selkirk College’s School of University Arts & Sciences (UAS). 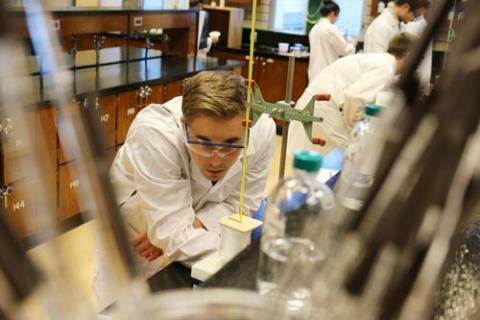 Expanded science offerings at Selkirk College have opened opportunities for students to choose a number pathways including full Associate of Science Degree. At the end of the 2011-12 school year, fiscal challenges forced Selkirk College to make difficult decisions regarding many of its programs. One of the moves administration made was to suspend Selkirk’s second year science offerings. New initiatives like the Rural Pre-Medicine Program has increased the number of students interested in science courses. Offerings in chemistry and biology have expanded to fit with the first Rural Pre-Medicine Program cohort that started their three-year educational journey this past fall. Those courses are also available to students choosing different science pathways. Biology and chemistry are two areas where the course offerings have been bolstered. All Selkirk College UAS courses are articulated and have transfer options to universities and colleges across the province under the British Columbia Council on Admissions & Transfer. The expanded offerings have also enabled the Selkirk College science faculty to bring more of their vast knowledge to the classrooms and labs on the Castlegar Campus. Applications for the Associate of Science pathway at Selkirk College are now open and will be ongoing until September, but spaces are limited. Applications for the second Rural Pre-Medicine Program cohort are now being accepted with a deadline of March 31, 2015. To find out more about science opportunities and pathways at Selkirk College contact David Feldman at dfeldman@selkirk.ca or 250-365-1331. Learn more about the School of University Arts & Sciences at Selkirk College and join us on Facebook.